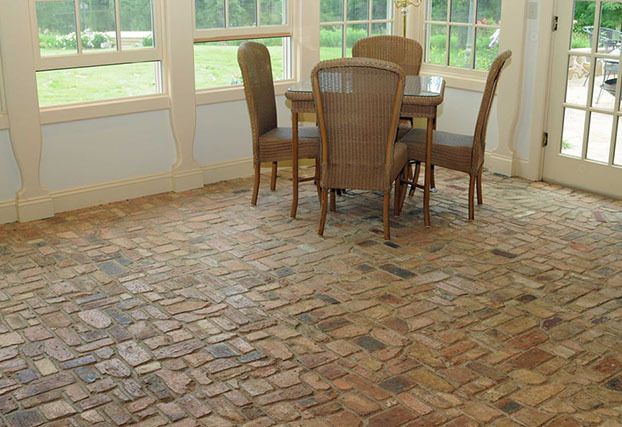 Vintage Brick Salvage LLC has been the North American leader in cutting thin brick tile from REAL reclaimed antique brick since 2006. 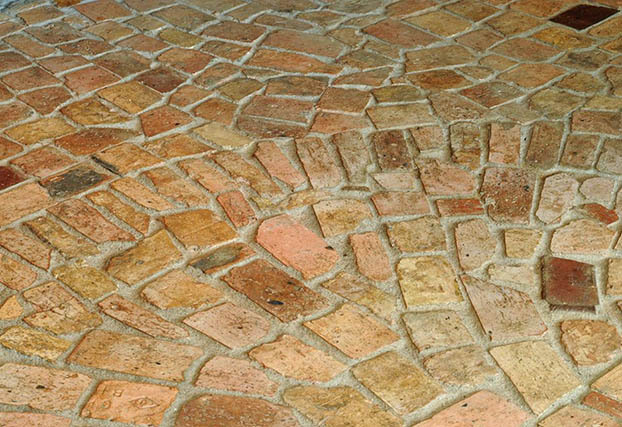 We carefully select the best quality reclaimed antique brick for our tiles, and use automated equipment to obtain the most consistent thickness possible in our cuts, as opposed to sawing these by hand which tends to result in various thicknesses and high percentage of "wedge cuts". 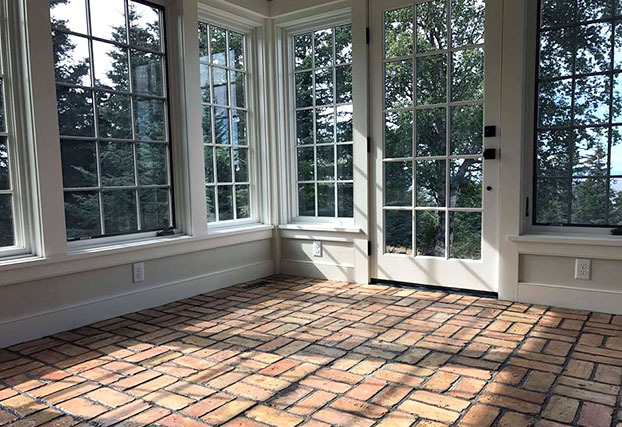 We pride ourselves on our ability to quickly deliver the highest quality thin brick, securely packaged and shipped on time. 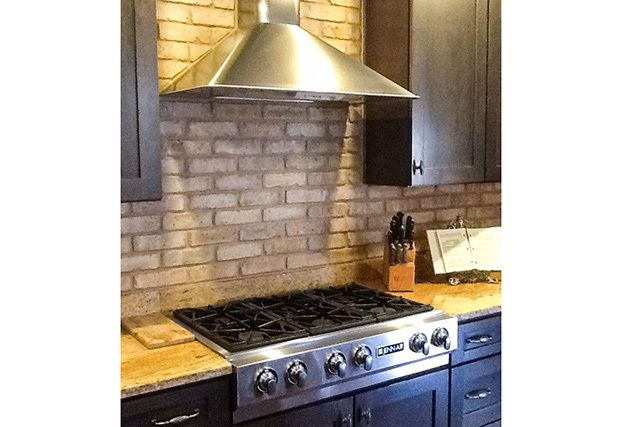 We source our antique brick from throughout the Midwest, and can provide thin brick in a variety of shades from cream through dark red. 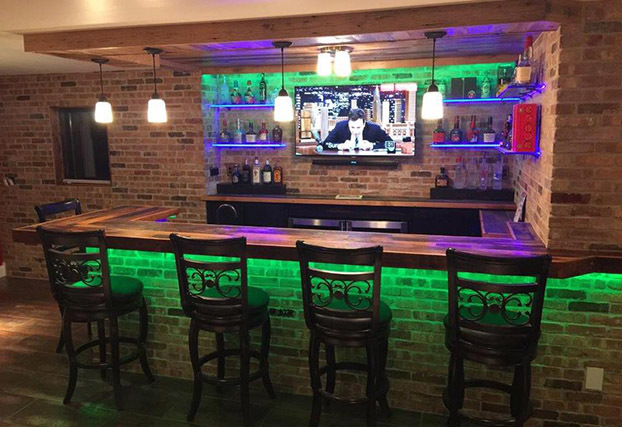 Our product has been used in homes, bars, restaurants, taverns, retail stores, sports stadiums cruise ships and casino’s worldwide! 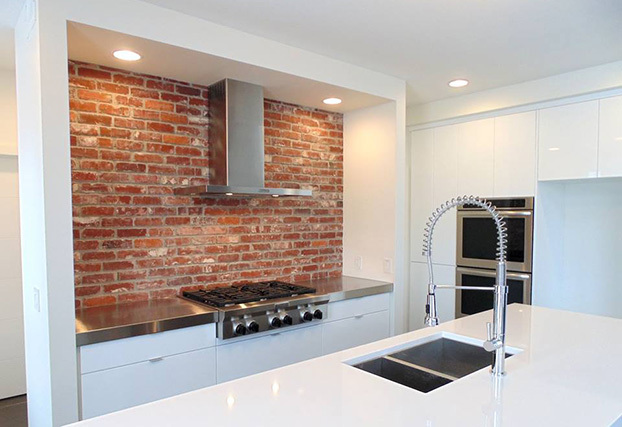 Our goal is to help create the most beautiful and realistic thin brick installations on the planet. 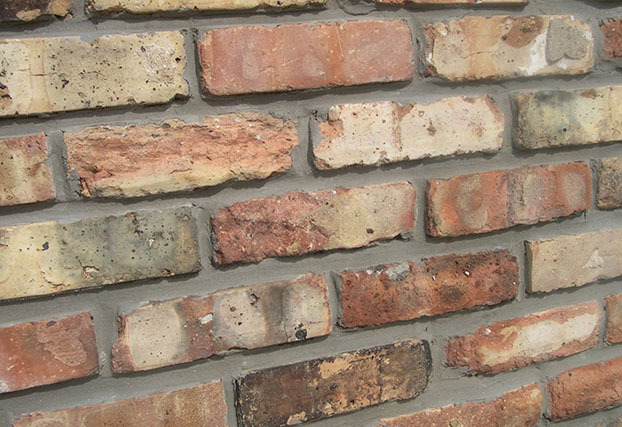 Additionally we are dealers in full sized reclaimed building and paving brick. 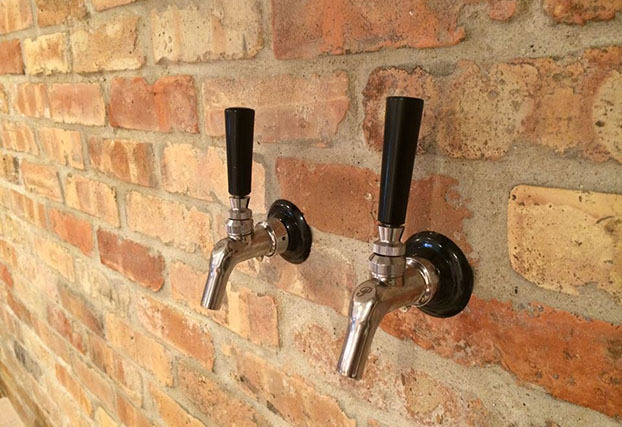 We hope to include you on our list of satisfied customers! 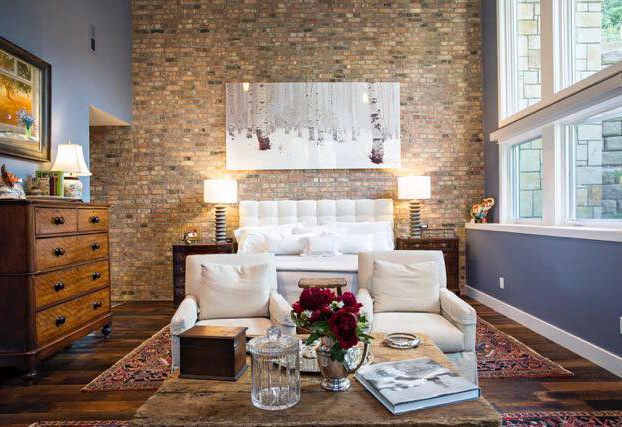 Thin brick tile made from real reclaimed brick. 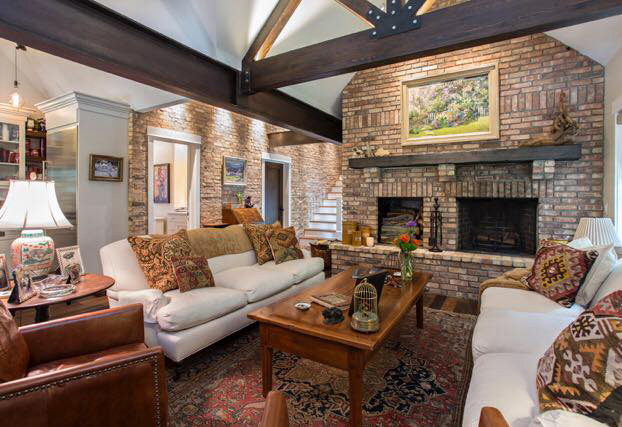 Antique brick veneer, for use on walls and floors. 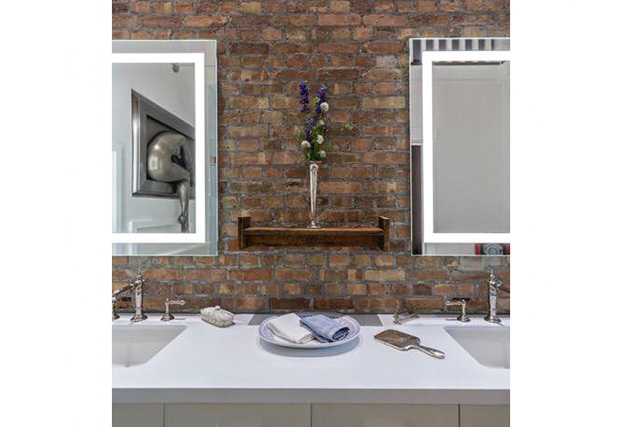 Full Sized Reclaimed Brick, Common Brick, Antique Brick.